This entry was posted in awards on June 29, 2016 by admin. 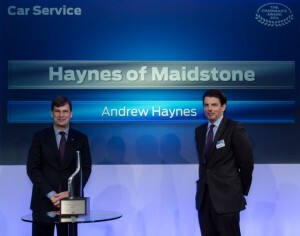 Haynes receiving the 2014 Ford Motor Company Chairman’s Award from Jim Farley – Executive Vice President & President Europe, Middle East & Africa, of Ford Motor Company. This entry was posted in awards on September 15, 2015 by admin. This entry was posted in awards on May 3, 2013 by admin. 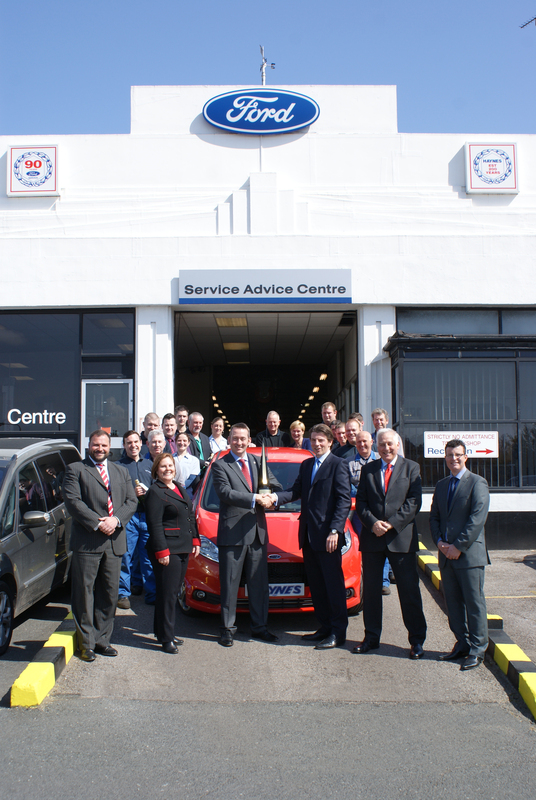 The RAC routinely carry out an independant assessment of our servicing and repairs to make sure that they are carried out to an extremely high standard. 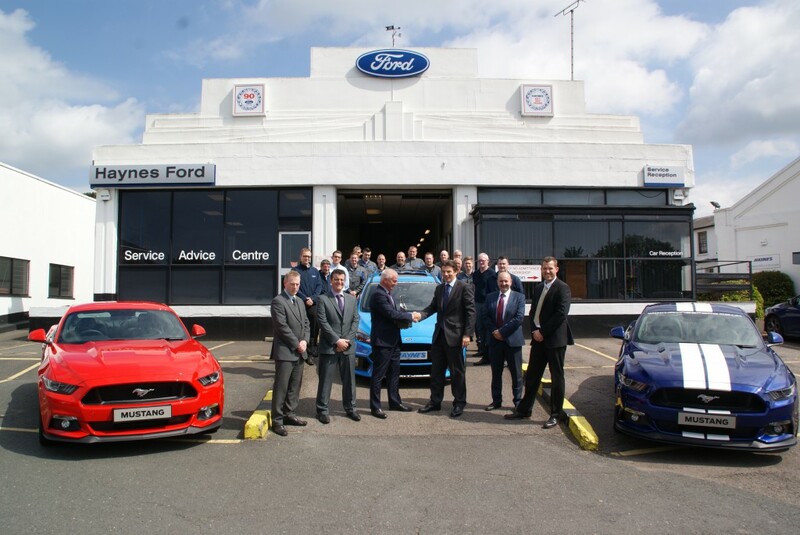 We are proud to announce that our Servicing Departments for both Car and Commercial Vehicles have been rewarded with a 100% pass rate for all inspections and audits carried out in 2012. An achievement that we are justifiably proud of. 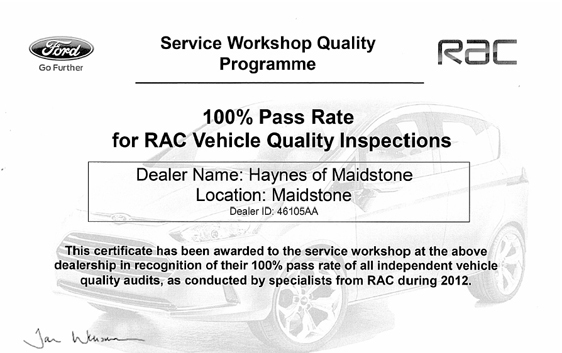 The original certificate is now proudly on display in our Service Reception Areas. This entry was posted in awards on January 1, 2013 by admin.